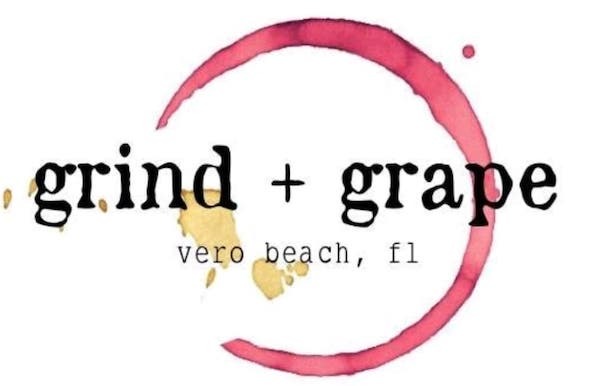 Grind and Grape in Vero Beach, Florida. But I remind myself that my job is to report to you, my readers, with an honest opinion good or bad. You expect an accurate review. Isn’t that right? On a crisp spring night, I decided to grab a beer and a bite at Grind & Grape in Vero Beach. I have visited this beachside hot spot with live music, an outdoor patio, and an attractive scene quite a few times in the past. I made my way inside the Vero Beach bar to get a beer and maybe have a look around before ordering food. There was a small group of about 4 in front of me waiting to order and about a dozen people sitting around the bar. I’ve seen it much busier on previous visits at Grind + Grape and never expected to wait 20 minutes to get my first beer. I chose Sailfish Brewery’s “White Marlin” on tap. It’s a pale wheat ale brewed with Florida citrus and coriander. It’s light, not hazy as most wits, has a strong smell of orange and a smooth finish. Now with a seat at the bar, I’m afraid to move on and lose my place. I can’t help but notice several people waiting beside me to order drinks from the two bartenders as I’m also witnessing a lot of favoritism with friends being served ahead of waiting customers. With several people getting impatient and speaking up, it fuels the fire. The bartender lashes out at the customers. Throughout my time at the bar, the bartender is heard using many profanities. In comparison, this is not at all what I expected from a reputable Vero Beach business and especially not a beachside one. I’m finally able to order food after another long wait. I chose the “The Favorite” a flatbread topped with blue cheese, apples, walnuts, honey, red onion, and a balsamic drizzle. These flavors blended well but lacked quantity of toppings and the crust was soggy, not thin and crispy. I thought the presentation was nice as most items are served on small wooden boards. But this flatbread fell short as I’ve had better from the same kitchen in the past. My second choice was “The French Cuban.” This sandwich was a simple twist to the classic Cuban and as per the menu should have had smoked pulled pork, ham, gruyere cheese, pickles, mustard, mayo and come on a French baguette. The bread was fresh and crispy and about the only thing good about this pick. It had no mustard or pickles which leaves this review short a couple of ingredients and a few stars. 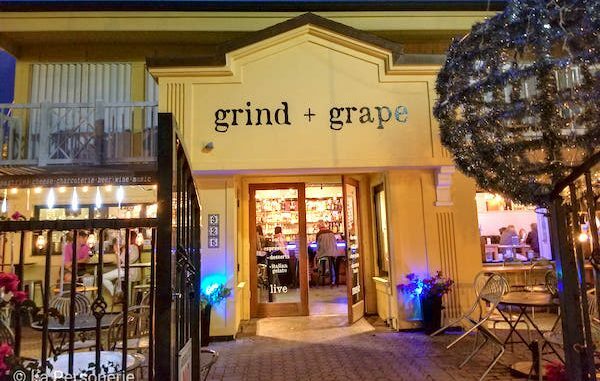 If I had to come up with a term to explain to you what the atmosphere is like at Grind & Grape, I’d say it has a feel of “Boutique Chaos.” I’ve spent enough time inside and observing this beachside eatery to have a good understanding of it’s missing link. 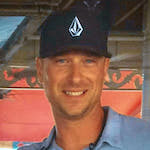 Grind & Grape in Vero Beach is lacking experienced management which leaves the staff undertrained. The one bar is understaffed, the cocktail servers on the patio are unable to keep up with orders and are seen carrying empty glasses one by one to the kitchen. In addition, I couldn’t help but notice that their New Years Eve ball is still at the entrance as you walk in, and there’s long icicle lights still draped around the patio, which are obviously still up from their Christmas decorations. There are other lights too, but these are actual holiday decorations left from December. It leaves me with the understanding that this eatery is more interested in just selling cocktails and wine. But I don’t accept that as an excuse for poor service and mediocre quality food. If you can’t get it right, don’t do it at all. On a positive note, I heard through the grapevine that some new hires and updates are in progress. I’m looking forward to seeing the changes and plan to visit again in the near future.